During the past 6 months, much of my research has been focused on Old Hickory, Tennessee as I completed a few projects and added some new ones. About 18 years ago when I'd designed my original genealogy website(hosted on Rootsweb's Freepages) I'd coded several pages which focused on my Dad, his parents & siblings, and the neighborhood in which he grew up. My website was in bad need of updating and with Freepages pretty much going the way of the dinosaur, I made the decision to move my pages to my blog. This sounds like a big project but seems to be going rather well. Found a TN State Supreme Court Case that my 2nd Great Grandfather was involved in and got a copy of it(41 pages) Lots of people involved in the case which is about the sale of a horse. Testimony given by my 2nd Great Grandfather about the horse was awesome to read. The biggest surprise was the Dickson Co TN connection. Contacted Hagley Museum and Library to inquire about any Rental Records Dupont might have had from Old Hickory's Company Town Days. They do not have them but did send me two reports done on another of Dupont's company towns to give me an idea of what all was involved with that process. (I contacted Dupont about it just to cover all bases and was told they didn't know the answer to my question. Maybe contacting someone local will help) If the Old Hickory Dupont plant still has them it would be a wonderful project and good PR for Dupont if they could let a Historical Society or TN State Library and Archives scan them. I believe 1946 was the time when the homes were up for purchase. Up until that point all the people that lived there pretty much worked for Dupont and rented from them. Ordered my Uncle Morris' Official Military Personnel Files thru Veterans Voice. I was able to get a discount on the order. (One of the perks of being a Virtual Genealogical Association member.) Excited to finally do that. He has no descendants so I ordered his as my first order. I hope to be able to order Dad's soon. Still working on trying to find the missing connection for my Cook(e) line. I have Y111 DNA results and numerous autosomal testers. Slowly but surely. This past year has been a good one for finding out more information about our Cook(e)s and the ones that our DNA results suggest we most closely match. I have our back to the 2nd Gr Grandparent level so I feel like there are likely about 2 generations in between the connection. Time to make a grid for all the Joseph's we've collected from the same area...and another grid of the William C Cook or W.C. Cooks. I know from past experience this works and when I get all of the grid filled out I will likely discover more information and have to redo it so I should do this like yesterday. In the midst of working on the Old Hickory projects I decided to contact the Register of Deeds here in Dickson County and get the listing of the people who owned the house that my grandmother lived in from about 1970-1976. I have many great memories of the house on 203 North Charlotte Street and I even remember the neighbors. I'm hoping to do a blog post on the house though I've written a good bit about it in the tribute to my Grandmother, Pearl Gray Jakes Cooke. I've also been working on an archive notebook of the papers which my Grandmother Pearl saved. You can read more about the types of papers and info at the linked blog post. I hope to start on my own archive notebook of papers soon. Continuing to work my DNA matches and log genetic networks to help find kinship. Attending Webinars to further my Genealogy education. Enjoying the Genealogy Podcasts and blogs. Also I'm looking forward to Rootstech though I will only be able to participate in the streaming portion of it. I'm hoping there will be some great announcements by the sponsors. What's happening in your Genealogy World? 1840 U.S. Federal Census, Bedford County, Tennessee, population schedule, pg 43-44; imaged at Ancestry (https://search.ancestry.com/search/db.aspx?dbid=8057: accessed 20 January 2019); citing National Archives microfilm publication M704-519. 1830 U.S. Federal Census, Bedford County, Tennessee, population schedule, pg 82-83; imaged at Ancestry (https://search.ancestry.com/search/db.aspx?dbid=8058: accessed 20 January 2019); citing National Archives microfilm publication M19 roll 174. While we've not done a test at 23andMe, my family was able to upload those who had tested at Ancestry during 23andMe's DNA day promotion in April of 2018. Those who uploaded do not get matches, but they have received the ethnicity estimates. 23andMe recently updated ethnicity estimates. A comparison of new to updated is shown below. I have deep colonial American roots on both sides of my family. My daughter has colonial American on her Paternal Grandmother's side but she also has Germans coming to America around 1830 and English coming to America in the late 1800s. humbly trust enjoyed for 30 years. valuation by lot, not sold. A.J Cook and Elizabeth Sutton and Penelopy W.
their lifetime then to their children. 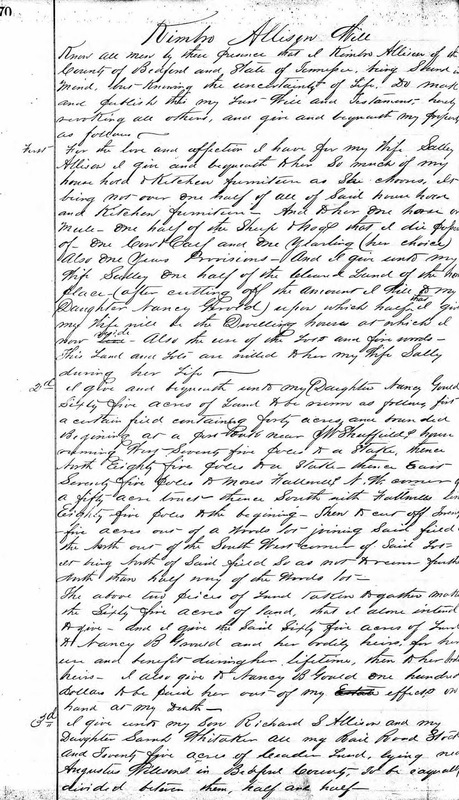 Carroll County, Georgia, Will Book A 1852-1896 : 58, Will of Shem Cook. 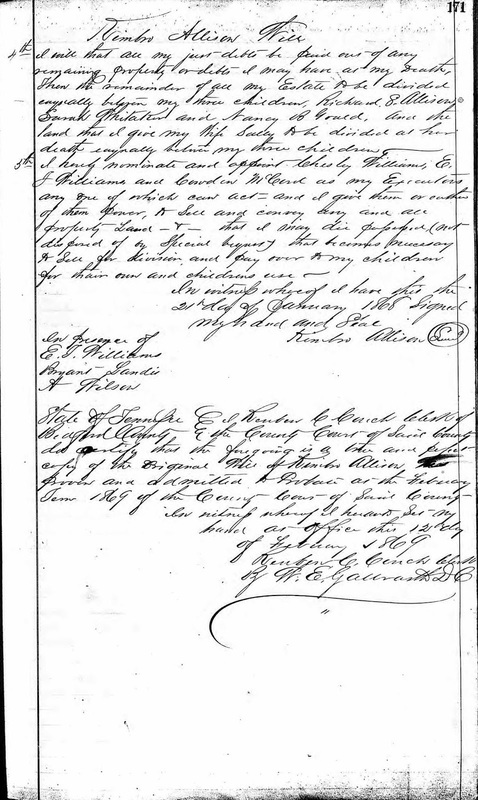 28 January 1862; imaged in "Georgia, Wills and Probate Records 1742-1922," Ancestry (https://search.ancestry.com/search/db.aspx?dbid=8635 : accessed 15 January 2019) > Carroll > Wills 1852-1922 > image 64 of 506.
the North out of the South West corner of said lot. north than half way of the woods lot. divided between them, Half and Half. I hereby nominate and appoint Chesley Williams, E.
Z. W. E. Gallworth D.C.
Bedford County, Tennessee, Wills Vol 1: 170-171. 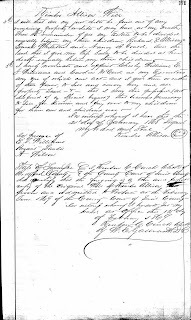 Will of Kimbro Allison, 2 Jan 1868; imaged in "Tennessee, Wills and Probate Records, 1779-2008," Ancestry (https://search.ancestry.com/search/db.aspx?dbid=9176 : accessed 14 January 2019) > Bedford > Wills, Vol 1-2, 1861-1922 > image 116 of 832. This information is what was given to the enumerator for the 1940 census. Please consult the census images which contain more information. This is the home of my paternal Grandparents. "United States Census, 1940," database with images, FamilySearch (https://familysearch.org/ark:/61903/1:1:K44V-HQT : accessed 9 January 2019), Old Hickory, Civil District 4, Davidson, Tennessee, United States; citing enumeration district (ED) 19-9, 900 Block of Dodson St(odd number houses), sheet 10A & 10B, p. 150 (stamped) Sixteenth Census of the United States, 1940, NARA digital publication T627. Records of the Bureau of the Census, 1790 - 2007, RG 29. Washington, D.C.: National Archives and Records Administration, 2012, roll 3884. "United States Census, 1940," database with images, FamilySearch (https://www.familysearch.org/ark:/61903/3:1:3QS7-89M1-8Z5L?i=16&cc=2000219 : accessed 9 January 2019), Old Hickory, Civil District 4, Davidson, Tennessee, United States; citing enumeration district (ED) 19-9, 900 Block of Dodson St(even number houses),sheet 9A & 9B , p. 149 (stamped) Sixteenth Census of the United States, 1940, NARA digital publication T627. Records of the Bureau of the Census, 1790 - 2007, RG 29. Washington, D.C.: National Archives and Records Administration, 2012, roll 3884. My Dad was born in October of 1930. He lived at 911 Dodson Street until the late 1940s. More than likely the majority of these people would have been his neighbors at that time. This information is what was given to the enumerator for the 1930 census. Please consult the census images which contain more information. Herbert Carter(age 30)wife, Ida(age 30). Herbert & Ida were both 16 when they married. They have a son J. T. (age 13) and a daughter, Anna B. (age 3). Herbert is a painter for a Building & Construction Co. Connie Jones, (age 18) who is listed as Bro-in-law of Herbert also lives with them. He hauls coal & ice for a Coal & Ice Company. The Carters pay $8 a month in rent. All born in TN as were their parents. Living in this household are Claude Bell(age 23) widowed mother, Rebecca(age 58). Claude is employed at the Rayon Mill where he is a Spinner. Rent is $13 a month. Claude's sister Etta Gunter(age 19) also lives here along with her husband Fred(age 20) and son Fred Jr.(6 months old). Fred Sr was 19 and Etta was 18 when they married. Fred Sr. is asst. Route Manager for a newspaper. All born in TN as were their parents. Charles L. Epps is a widower and the head of this household. He pays $8 a month in rent and is employed as a painter with a Building & Construction Company. Charles' daughter Mazella Epps( age 20--single) lives with him and takes care of the housework. Daughter Elizabeth Graham(age 24--widowed) also lives here as does her daughter Lucy E. Graham(1 5/12). Elizabeth works as a Silk Inspector for the Rayon Mill. All born in TN as were their parents. William Dudney(age 29) & his wife Emma(age 24) live here with their son Eugene(age 4 10/12). They pay $12 a month in rent. William is employed as a machinest at the Rayon Mill. All born in TH as were their parents. Living here are Burl Page (age 27) and wife, Luanna(age 27). Both were 25 yrs old when they married. Burl works as a Spinner at the Rayon Mill and they pay rent of $13 a month. All born in TN as were their parents. Joe Lomax(age 28) and wife Willie M.(age 24) live here along with their son Eugene(age 7). Joe was 19 yrs old & Willie was 15 yrs old when they were married. Joe is employed as a Spinner at the Rayon Mill and their monthly rent is $12. All born in TN as were their parents. Home of Haskell Dixon(age 28) and wife May(age 24). Haskell was 19 yrs old and May was 16 yrs old when they married. Sons Melvin(age 6) & James E.(3 yrs 8 months) and Daughter Gracie(age 5)also live with them. Haskell is employed as a Spinner in the Rayon Mill and their monthly rent is $8. All born in TN as were their parents. Bert E. Grimes(age 36) and wife Ola M.(age 22) live here along with their son Bert E. (2 yrs 10 months old). Bert Sr. is employed at the Rayon Mill as a mechanic. Bert Sr.'s parents were born in Indiana and he was born in Oregon. Ola and Bert Jr. were born in TN. They pay $9 a month in rent. Home of James Gregory(age 35) wife Melba(age 34). James was 17 & Melba was 16 when they married. Their son George(age 17) and daughter Irene(age 15) also live with them. James and Melba are both employees of the Rayon Mill where James is a foreman in the Shipping Room and Melba is a forelady in the Reeling Room. They pay $13 a month in rent. All born in TN as were their parents. Barry A. Kizziah(age 60) and wife, Nannie(age 53) live at this address along with their son Hermon(age 22). Barry was 36 and Nannie was 28 when they married. Their rent is $8 a month. Barry works at the Rayon Mill where he is an electric blower operator. Hermon works as a grocery clerk. All born in TN as were their parents. Home of Lectra Brown(age 21) and wife, Bettie(age 19). They were married within the year and are both workers at the Rayon Mill...he is a worker of Cold Racks and she is an inspector. Their monthly rent is $12. All born in TN as were their parents. Roscoe Roberson(age 36) and wife, Mollie(age 27) live here along with their daughters--Katherine(age 9) Frances(age 5) Pauline(9 months) and son G. B. (age 3) Ther Roberson's pay $13 a month in rent. Roscoe is employed with the Rayon Mill as a Blocker in the Wringer. Roscoe was 21 and Mollie was 15. (Math doesn't work out right on this.) They also have two boarders-- Walter Heffine(age 30 divorced) who is employed at the Rayon Mill as an operator in the riping room. George Thompson(age 24 single) who also works at the Rayon Mill as a Spinner. All born in TN as were their parents. George L. Smith (age 23) & wife, Pearle(age 21) live at this address along with their daughter Martha(18 months). George is employed as a Spinner at the Rayon Mill. George was 19 and Pearle was 17 when they married. They pay $8 a month in rent. All born in TN as were their parents. This is the home of Henry Tatum(age 23) and wife Louise(age 17) who were married within the year. Henry's widowed mother Kate(age 64) also recides with them as does Henry's brother & his family which consist of Claude(age 30) and wife Esther L. (age 23) Sons Russell(age 6) Charles W. (age 4 yr 5 months) and daughter Dorothy(age 4 months). Both Henry and Claude work for at the Rayon Mill where Henry is a Cake Wrapper and Claude is a Spinner. Rent on this home was $13 a month. All of the occupants of this house were born in KY with the exception of Dorothy who was born in TN. All parents of occupants were born in KY.
John L. Herdon(age 18) is listed as head of household here. He is single and works as a Laundry Boy at the Rayon Mill. His widowed mother Mattie(age 59)also lives here as do 6 other boarders. Blanche Pulaski(age 25 single), Helen Pulaski(age 23 single) Ruth Pulaski(age 20 single). The Pulaskis all work at the Rayon Mill as Reelers. Jesse George(age 23 single) is a Painter for a Construction Company. Robert Pennington(age 18 single) and Virgil Redman(age 18 single) both are employed as Winders at the Rayon Mill. Monthly rent on this home was $8. All born in TN as were their parents. This is the home of my paternal Grandparents. Thomas D. Cook(age 42) and wife Pearl(age 39). Tom was 24 and Pearl was 21 when they married. Also living with them are daughters-- Magnus(age 17) Viola(age 14), Olive June(age 6) and a son listed as Morris V. but should be Morris B. (age 2 yr 11 months) Tom works at the Rayon Mill where he is a mechanic. Rent for their home was $13 a month. All born in TN as were their parents. James H. McDougal (age 24) and wife May(Married at 21 yrs of age), a son L. W. McDougal who is 2 1/2 yrs old. They also have two boarders--Naomi Graham(age 19 single) and Cletus Holly age 20. All Household members and their parents were born in TN with the exception of Naomi whose parents and herself were born in KY. Naomi and Cletus also work for the Rayon Mill where Naomi is a Reeler and Cletus is a Spinner. They pay $8 a month in rent. J. D. Arnold(age 27) and wife Lealon(?) Arnold(age 22) Daughter Peggy(age 5). J.D. and Lealon were married at 21 and 16 yr of age. J.D. is a Millwright at the Rayon Mill. They pay $20 a month in rent. All born in TN as were their parents. "United States Census, 1930," database with images, FamilySearch (https://familysearch.org/ark:/61903/1:1:SPWV-YMF : accessed 9 January 2019), District 4, Davidson, Tennessee, United States; citing enumeration district (ED) ED 244, sheet 28-A, p. 167 (stamped), 900 Block of Dodson Street(odd numbers), NARA microfilm publication T626 (Washington D.C.: National Archives and Records Administration, 2002), roll 2243; FHL microfilm 2,341,977. "United States Census, 1930," database with images, FamilySearch (https://familysearch.org/ark:/61903/1:1:SPWV-GP8 : accessed 9 January 2019), District 4, Davidson, Tennessee, United States; citing enumeration district (ED) ED 244, sheets 25-A & 25-B, p. 154 (stamped), 900 Block of Dodson Street(even numbers), NARA microfilm publication T626 (Washington D.C.: National Archives and Records Administration, 2002), roll 2243; FHL microfilm 2,341,977. 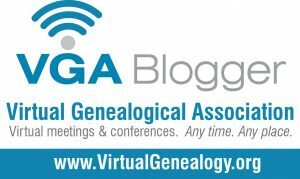 In November of this past year, I had the good fortune of attending a Legacy Family Tree webinar entitled Railroad Records and Railroad History: Methods for Tracking by Paula Stuart-Warren, CG, FMGS, FUGA. In my research, I'd encountered streetcar operators but not any cousins or ancestors who worked for the railroad. None the less I thought it would be good to know because you just never know when the opportunity to research a railroad worker will arise. One of my ongoing projects is identifying the people in old photos that were in my paternal grandmother's collection. I'd scanned a small picture that was identified as Trover Duke-- a friend of one of my aunts. As most of the people that were friends with Dad's family from the 1920s -1960s had ties to Old Hickory, TN or the Dupont Company, I had started a tree containing all of the friends, neighbors, and associates. I searched for Trover Duke in the 1920-1940 census records. Trover was in Tennessee until the 1940s when I find him in San Bernadino County, California working for the ATSF Railroad. He's in the household of a widow, Margaret Black. I checked several other of the databases that the search pulled when I had searched on the keyword RAILROAD but didn't find a listing at least where I could tell that it was him. I need to check some other sites for more information when I have more time. 1940 U.S. Census, San Bernadino County, California, population schedule, Needles, Enumeration District(ED) 36-59, sheet 2A, p. 839(stamped), household 33, line 18, Trover Duke; imaged at Ancestry (http://www.ancestry.com : accessed 11 January 2019) citing National Archives microfilm publication T627 roll 290. Ancestry.com. California, Railroad Employment Records, 1862-1950. (https://www.ancestry.com/interactive/2046/43787_343514-01521/6293677 : accessed 11 January 2019). Provo, UT, USA: Ancestry.com Operations, Inc., 2010. 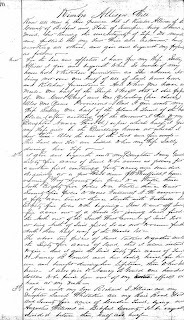 Abstracts of information from Confederate pension applications of soldiers or widows. These applications were viewed from the microfilm collection of Wallace State College's Genealogy Collection (located on the 5th floor)at the campus in Hanceville, Alabama. I previously had these files on my Freepages Genealogy Website that was hosted at Rootsweb. You can now access some Confederate Pension index and in some cases, files at Familysearch.org (Log on required for some portions of the site but it is free) This post should give you an idea of the type of information found in those files. Please check out the digital images of the originals at FamilySearch for these and other pension applications. Confederate Pensions were paid by the States not the Federal Government. Also, keep in mind that they were filed in the state of residence which may or may not be the state in which they served. Eligibility requirements vary from state to state. The states which paid Confederate Pensions were Alabama, Arkansas, Florida, Georgia, Kentucky, Louisiana, Mississippi, Missouri, North Carolina, Oklahoma, South Carolina, Tennessee, Texas, and Virginia. The Texas Confederate Pension Index is online for free. Ancestry has the Texas Confederate Applications available to subscribers in the Alabama, Texas, and Virginia, Confederate Pensions, 1884-1958 database. Check with your local library. If they have an Ancestry subscription you should be able to access it while visiting your local library. Mason in the state of Texas. during the war between the States of the United States and he did not desert the Confederate service. 1. What is your age? "65 years"
2. Where were you born? "De Witt County, Texas"
3. How long have you resided in the State of Texas? "65 years"
4. How long have you resided in the county of your present residence and what is your postoffice address? 5. Did your husband draw a pension? If so give his file number. "Mason, 21750"
6. What was your husband's full name? "Samuel Logan Fleming"
7. What was the date of his death? "August 13th 1918"
8. In What state was your husband's command originally organized? "Tennessee"
9. How long did your husband serve? If known to you give date of enlistment & discharge "about 4 years"
transferred from one brance of service to another, give time fo transfer, description of command and time of service. law of conscription, the nature of such service, and time of service. "Infantry"
the premises as required by law. Texas since prior to January 1, A.D. 1920 and that they have no interest in this claim. real or personal, or both of the value of none dollars. with my daughter at Moran Texas. whose original county was Mason. pensioner to the best of my knowledge and belief. I am related to the pensioner as Daughter. that my postoffice address is Moran, Texas  Rt, #1 Box 4 Moran Texas. the said Mrs. B. B. Brewster who makes the foregoing application. Signed A. J. Taylor, Taylor Furn. Co.
Diabetic Gangrene of right foot. Thirty-eight Legislature and approved March 2, 1928. Signed  R. E. Forrester M.D. State of Texas, approved March 5, 1929, on the following ground. Buren in the State of Tennessee. 1. What is your age, and date of birth? "Jan 22nd 1843 87 years old"
2. Where were you born? "Warren County Tennessee"
3. How long have you resided in the state of Texas? "56 years"
4. How long have you resided in the county of your present residence? "52 yrs"
5. What is your postoffice address? 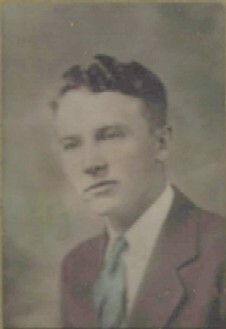 "Llano Texas"
at the time of his enlistment. "Spencer, Tennessee"
9. What is your Husband's Full Name? "Jerry Monrow Fleming"
10. In what Sate was your husband's command originally organized? 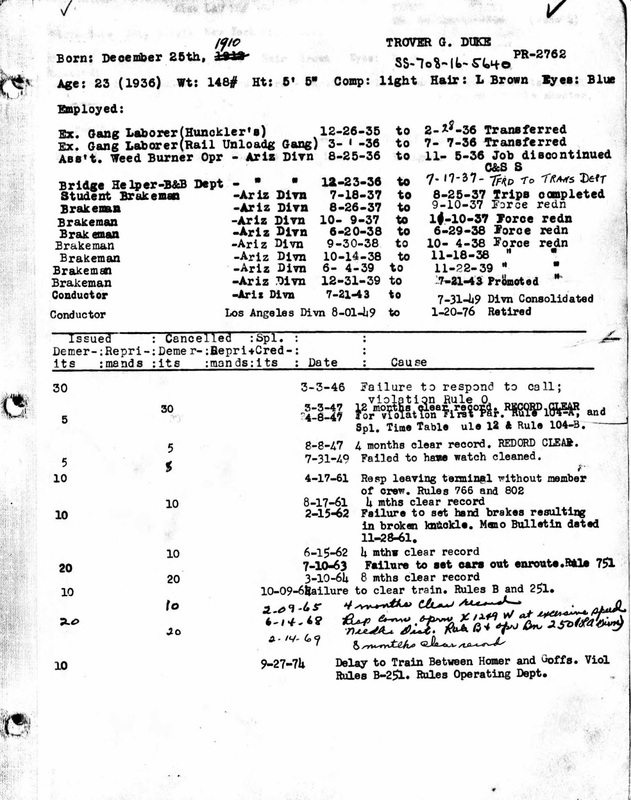 "Tennessee"
date of enlistment and discharge. "I don't know"
to another, give time fo transfer, description of command and time of service. Company, don't know the regiment, but think it was Savages Regiment"
of conscription, the nature of such service, and time of service. "Infantry"
county? If so, state value of same and county where located  "no"
purpose of becoming a beneficiary under this law? "No"
be had in the premises as required by law. and that they have no interest in this claim. personal, or both of the value of _______ dollars. Given under my hand this 21st day of April, A.D. 1930. To the Adjutant General, War Dept. Washington D.C.
Capt Cummins Company, Savage's Regiment, Tennessee Infantry. In service in the Confederate States Army. inlisted(sic) in the Confederate Army from Van Buren County Tennessee. Fleming was in Capt. W. B. Cummings' Company according to my recollection. I found but his mind is bad and h can't sign up anything and is verry old. But the Judge said you don't want anymore so hoping she can get this. correct and has been paid in full. Notary Public Mills Co. Texas. whose file number was 46638 and whose original county was Llano. Notary Public in and for Mills Co. State of Texas. County of Mills, State of Texas on the 14 day of August 1940. Thirty-eighth Legislature and approved March 2, 1923.
with Act passed by the Thirty-eighth Legislature and approved March 2, 1923.
the war at above place and was released at the close of the war." 1. What is your age? "75 years old"
2. Where were you born? "Van Buren County Tennessee"
3. How long have you resided in the state of Texas? "39 years"
4. In what county do you reside? "Mason Co. Texas"
5. How long have you resided in said county and what is your postoffice address? "3 years, Mason, Mason County, Texas." 6. Have you applied for a pension under the Confederate pension law and been rejected? 7. What is your occupation, if able to engage in one? "unable"
8. In what State was the command in which you served organized? "Tennessee"
9. How long did you serve? Give if possible the date of enlistment and discharge. "April 12, 1861 until close of the war. 10. What was the letter of your company, number or name of the battalion, regiment or battery? and time of service. "No transfers." 12   What branch of the service did you enlist in--infantry, cavalry, artillary or navy. 13. If commissioned direct by the President, what was your rank and line of duty? your service and for how long did you serve? "None"
beneficiary under this law? "No"
proceedings be had in the premises as required by law. and mixed, at the assessed value of None dollars. easier to pair them up. 1. What is your name? Age? Present place of residence and postoffice address? "D.C. Randals 69 years old Waldrip, McCullouch County Texas"
who is an applicant for pension under Act of march 26, 1909? did you first know him? "Since 1861 in Confederate Army"
the service of the Confederacy and performed the duties of soldier or a sailor? "Yes I know he was a Confederate Soldier"
long he so served? "Co. I 16th TN Regiment in 1861 in the Army"
President of the Confederate States? What was his rank and line of duty? "No"
was the nature of his service and how long did he serve? "No"
applicant serving in the same command, or the special service to which he was assigned? can you and how do you identify and locate the one from the other or others? to same Co. & Regt and I believe this to be the same man. I never knew any other S.L. Fleming. testified by you? "Think So"
staid one year in Co. & Regt." class soldier while I was in the Regt. "Prof. Ben Randel age 73 yrs  Hico, Hamilton County Texas"
served in the Confederate Army? "Co. I 16th TN Regiment. When? "1861" Where? "Spencer, TN"
And the time of service? "One year time of service at the reorginazation he reinlisted for the war." state:  When? Where? And How long he so served? service as a 1st Corporal"
"Source of Knowledge:  I served in the same Company, and was his Captain"
testified by you? "I know no other soldier by the name of S.L. Fleming"
from said company and regiment, or the special service to which he had been assigned? Clerk Co. Court, Mason Co. Texas. I am sending you application for mortuary warrent for S. L.
get busy at once and settle this matter. By J. H. King, Deputy. Subscribed and sworn to before me, this 26th day of September, A.D. 1918. Mason, Texas, September 30th 1918. To above account for Thirty Dollars is just, due and unpaid. Sworn to and subscribed before me this 30th Day of Sept. 1918.
of Texas, and whose file number is 21750 and whose original county is Mason. The Pensioner died in the home of James R. Fleming who is related to the pensioner as Son. of the expenses incurred by the said pensioner S.L. Fleming. Mason, State of Texas, that my postoffice address is Mason, Texas. appeared J. R. Fleming, who being by me duly sworn did certify to, and sign the foregoing statement. the opinion that his ailments were Brights Disease. To the Honorable County Judge of Bell Co. TX. for the purpose of obtaining a pension as the widow of said Wm. I have given to the following questions are true. 1. What is your name? "Mrs. Lucinda York"
2. What is your age? "Sixty three"
3. In what County do you reside? "Bell"
post office address? "since 1867 Gindale"
Heretofore, and been rejected? If so state when and where. "No"
6. What is your Occupation if able to engage in one? "none"
7. What is your physical condition? "bad"
10. What was the date of his death? "1879"
the death of your said husband for whose services you claim a pension? "Yes and have so remained"
state what pension or veteran donation land certificate you have so received. value of such property? Give list of such property and value. "None"
within two years prior to the date of this application? "none"
17. What income if any do you receive? "None"
destitute of property and means of subsistence? "Yes"
19. Are you unable by your labor to earn a support? "yes"
purpose of becoming a beneficiary under this law? "no"
bona fide resident citizen of this State? "yes"
is unable to support herself by labor of any sort. Pension Law of this State, and I hereby approve said application. Judge of Bell County Texas. What is your age and in what county and state do you live? What is your Post Office address? Do you personally know Mrs. W. W. York who is an applicant for a pension? how long di you know him? When did he die if he is dead? Confederacy and performed the duties of a soldier? in the Confederate Army and the time of his service? Do you personally know that Mrs. W. M. York is the widow of the said Wm. M.
York? Do you know where she now lives? by labor of any sort? may be taken before any office authorized _______  oaths. witness, on this the 16th day of August, A. D. 1899. A. C. R. Morgan Notary Public of Parker County Texas. service and performed the duties of a soldier. not know, but I have understood that York went to Bell County. I know nothing of her ability to support herself by labor. Notary Public, Parker County Texas. on this the 16th day of August, A. D. 1899. My Name is B. L. Richey. My age is 68 years, and I live in Parker County, Texas. My Post Office address is Weatherford, Texas. understand that he died some time in the 70's. of the Confederacy, and performed the duties of a soldier. Wm. M. York enlisted in Co. E. 19th Texas Cavalry, Nat M.
until the end of the war, about three years, I know this personally. I can not say wheter the applicant is the widow of Wm. M. York. Bell County, and I had letters from him after he went there.